ARimini Caput Viarum is a storytelling place, a multimedia and interactive tour which offers visitors the unique experience of reliving the story of Ariminum, the ancient roman Rimini with its treasures and beauty, offering suggestions to undertake a comprehensive and engaging journey in the territory. Designed using new languages, evocative images, interactive technologies, exhibition areas and information tools, the Visitor Center offers tourists the opportunity to be active players of a narration intertwined with history. A history that is still tangible today in the rich and well preserved archaeological heritage, enriched over the centuries by beautiful architecture, from the Middle Ages up to the Renaissance: an important legacy that has influenced the history of Rimini up to the present day. The Visitor Center also provides visitors with a thorough summary of tourist opportunities, places and events of Rimini, an area rich in attractions that go beyond the cultural ones. 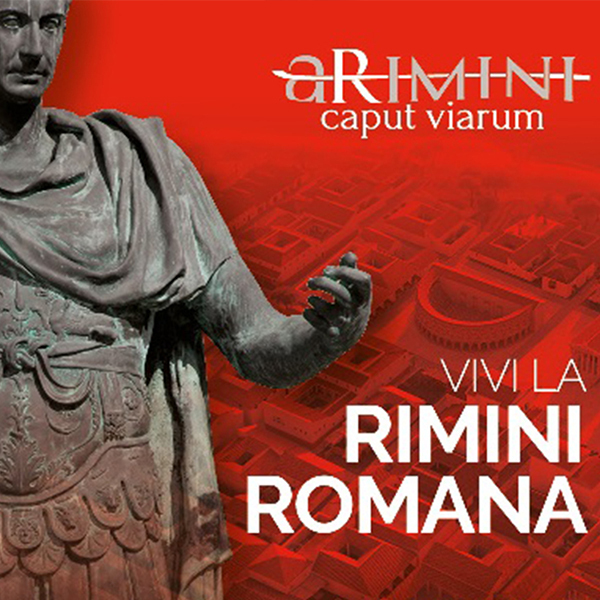 Explore the Rimini history, select the points of interest and create your itinerary. Thanks to the display join the website or shot your photo and share on Social Network. For conferences and interactive lessons.